The trusted name in home inspections! Whether it’s a single family home, a condo on the beach or a property for your new business, let us make sure it’s the property for you. Online reports you can access from any smartphone, tablet, or computer. We use industry-leading HomeGauge software to create our reports. With Cornerstone Inspections of Chagrin Valley, you will receive a thorough home inspection and a comprehensive inspection report, complete with color pictures and an abundance of details. Rest assured, you will have all of the information you need to make a well-informed decision on that property you have your eye on, because your future is important to us, and we want to see you make the right decision. We have partnered with HomeBinder to give you FREE access to organizing your home maintenance, design, and decorating tasks, along with your important home-related documents. No need to register for your own account! 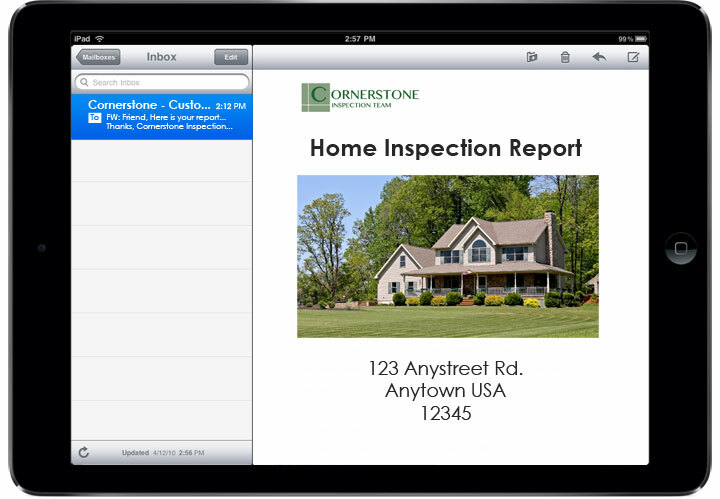 Ask us more about this service, which Cornerstone provides free of charge with every complete home inspection.